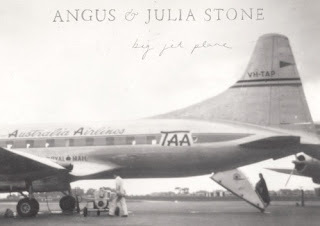 This post was inspired by Senora Amanda V. who reminded me that I never posted the remix of Angus and Julia Stone's Big Jet Plane here. When it comes on in my car I am immediately relaxed. Somehow the remix does a good job at maintaining the serenity of the song while exposing it's melody in a way that speeds it up. Enjoy Michael Brun's interpretation and make sure to keep an eye out for his other stuff, it won't disappoint.